Save valuable time and get comprehensive editorial assistance by availing Editage’s manuscript preparation services. Editage helps your manuscript get noticed in the noisy world of academic research. Get access to highly qualified and experienced publication experts who will provide subject-relevant editing, translation, and review support. A range of pre-submission manuscript preparation services helps you create well-written manuscripts that adhere to journal guidelines and boosts your chances of getting published in high-impact international publications such as Frontiers Journals. Good scientific content deserves clear writing. We have brought together teams with expertise in subject-relevant editing, and reviews to ensure that manuscripts meet international standards of scientific English and are free of grammatical, spelling and other common language errors. All three levels of editing include free manuscript formatting for the journal of your choice. This will save your time and budget. Use coupon code FRONTIERS10 to get 10% off. 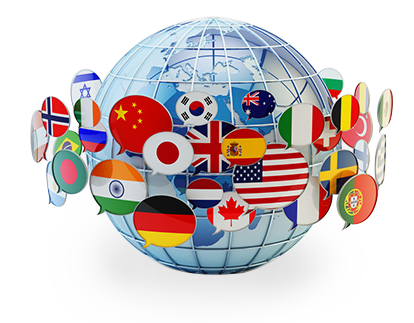 We offer subject-specific translation with English Editing for the following language pairs. 99.9% is not good enough. Our mission is to ensure 100% client satisfaction at every interaction for all our clients. We promise excellence, expertise, responsiveness, and confidentiality in all our services. Our team will work with you until you are 100% satisfied with every dimension of our service, be it quality, on-time delivery, or response time. When you come to us for our expert authoring services, if we don’t deliver per your expectations, we won't charge you. No questions asked! Each document is checked by two language specialists from our global team of editors and peer reviewers, to ensure that we miss nothing. The end result will meet the highest quality standards of international journals. Whether you are sending in a submission or query, our customer support managers will respond to you within 24 hours, with solutions customized to your needs. If your document submission is even a second late, we offer a full fee refund, No questions asked! Our ISO/IEC 27001:2013 certified IT security management systems and processes mean researchers worldwide can submit their papers with complete confidence that their intellectual property is safe with us. We accept Visa, MasterCard, American Express, Diners Club, and Discover, and have partnered with two payment gateways—PayPal and CC Avenue. The payment gateways available to you will differ depending on your country and the card you choose to use. You can make payments directly into our bank account and email the bank wire transfer receipt to us. We recommend bank wire transfer for payments exceeding $1000. We at Editage are aware of the increasing pressure that the academic research and publishing community are under today. As a leading provider of editorial and publication support services for the past 12 years, we have on occasion been witness to potential cases of ethical violation while editing research papers. A majority of these are instances of “accidental plagiarism” where authors unwittingly engage in unethical practices, mainly because of lack of information and professional training on the subject. What are the different types of editing services you offer? We provide manuscript editing services to meet the publication standards of international high-impact journals. We offer 3 levels of manuscript editing and proofreading services for academic research papers. All our manuscript editors and writers go through the Basic Editor Training (BET) program that comprises 5 standard modules and various customized programs. Our unique editor-selection algorithm ensures that your paper is assigned to highly qualified language specialists with expertise in your subject. As it learns your requirements, we are able to offer more tailored services. Our editors are all native English speakers who hold PhDs or Master’s degrees from top universities such as Harvard, MIT and Oxford. They are all experts in their respective academic fields with an average of 19.4 years’ experience in editing. Most of them are published authors and peer reviewers in their own right as well as members of some of the world’s best editor societies, such as BELS and CSE. “The unique and extremely helpful thing about Editage is its professionalism and punctuality! It was great to have a native speaker scrutinize our manuscripts. We managed to publish two papers with the help of Editage in good quality international journals. I suggest using Editage to my colleagues to get a flawless manuscript before the publication. It's really a high quality editing service and I'm quite pleased about the work. If an author is seeking qualified writing and publication support, this is really true address.